My recent trip to LA included a day spent at the Disney Toon Studios. As part of our experience, we spent time with several of the teams that are instrumental in getting a movie to it’s finished state. As you can probably guess, a ton of work (and talent!) goes into the making of a movie like PLANES, and a lot of that talent comes from actors and actresses that you already know due to their work in television and movie roles. One of my favorite things to do with Disney movies when I first see them, is to try to see if I can match any of the voices to the actors that are playing the parts. I actually think that I could have guessed this one, but they let us know before seeing the movie that Teri Hatcher was playing the role of Dottie. Dottie is a darling (and very handy) little mechanic vehicle that plays a really special role in this movie. The original plan was for us to have a sit down interview with Teri, but it turns out that she was ill, so rather than an in-person interview, we did a phone interview. And unless she is a beyond awesome actress (hey…wait a minute….) it was a good thing because she really did sound under the weather. She was REALLY sweet to still make the interview happen and it was fun hearing her share her thoughts and experiences about the film. My favorite part- um, well, I guess my favorite part- I mean, it’s hard to say because, clearly, the movie is so gorgeous. It’s just so beautiful and every time I look at scenes from it, I, I just can’t, I just can’t get over the craftsmanship of how they- I was really trying to figure it out how- what is the trick. How do they create this world that just draws you in- like, it’s planes. They’re not people, but suddenly you, you ju- you, you kind of let all that go and you just are in this story, and it’s so beautiful and so magical. Um, so I love all, all, everything, everything in it, but I think, uh, my favorite scene for me of what, for, like, my character and what just makes me laugh all the time because it makes me laugh- the final cut of it, and it makes me laugh remembering the journey of, of, of filming it. It was the scene where Dottie is first telling him that he can’t, um, you know, he can’t fly, and then she just sort of does this demonstration of what’s gonna happen to him if he doesn’t fly, and he, you know, he’s gonna go to the ground and, you know, smash all the kids in the orphanage. And, you know, I, it just, it makes me laugh and when I watch it with a group of people, everybody laughs, and so I guess that’s one of my favorites. Um, it definitely, you know, getting offered a Disney movie is, it’s definitely, I think, the- one of the first thoughts that comes into your brain is, um, you know, my child’s gonna love this or my grandchild’s gonna love this, you know, and, or even my great-grandchild after I’m long gone is gonna love this, and that is kind of the- that’s the quality that Disney offers. I mean, kids fifty years from now, whatever the technology is will still be entertained with their families by those movies, and that’s, that’s pretty fun, you know? You think about what are the reasons that you’re, you’re here, you know? And, and one of them is to bring joy and, and so this is a really great way to be, you know, a little part, I mean, Dottie is a little part of this movie, but getting to be a little part of a, of a movie that’s gonna bring joy to a lot of families all over the world. And that’s- so when you get the call and they say, do you wanna be in this Disney movie, that’s absolutely the first thought that goes through your brain and, and you, and then the answer is yes, [LAUGHS]. Well, I certainly added part of my personality which I think is, you know, part of the, the reason, you know, I guess you get hired, you know, that they think you’re funny or whatever it is that they’re, they’re looking for, um, and which I’m lucky I wasn’t recording on a day like today where I sound like I have no personality, [LAUGHS]. Um, but, um, uh, we, we definitely put- they were open. You know, sometimes they’re not. Um, and they, they were open. Like, we could come to a point and I would, and I might say, I don’t know, I don’t know- does that sound like Dottie would say that? And I would try saying it a few times and then it might be just a little word or two little words. I’d say, what if, what if we said it like this, and then Clay was really great that he would just- he would know when it, when it sounded right, you know, because, and, and he would just go, oh, that’s it, that’s it. No, do it like that. And if that change came from me, that would be great. Or if somebody- there was usually maybe ten- eight to ten people in the booth on the other side of the glass, you know, different producers and, and, uh, you know, associates and maybe one of them would way, you know, what if she said this? And, and Clay would just say, try saying this. And then I would say that. So there was, there was definitely some fluidity to it, but it, um, it, it was very much scripted and then they would say, you know, so let’s change this sort of like- I’m trying if I actually came up with any sort of jokey or sort of punch line type of thing on my own. I may have, but I can’t really- I can- I can’t remember. I just know that they were very fluid and very open. I mean, it was a- it could, could not have possibly have been more fun being involved in this. Overall, this interview with Teri, not only gave me a glimpse at who she is as an actress but as a person, a woman, a mom. I could hear in her voice that she has the same issues, concerns and joys that we all do and that even her sense of humor is one that I could relate to. I think most moms could.. she was very personable and friendly and down to earth. 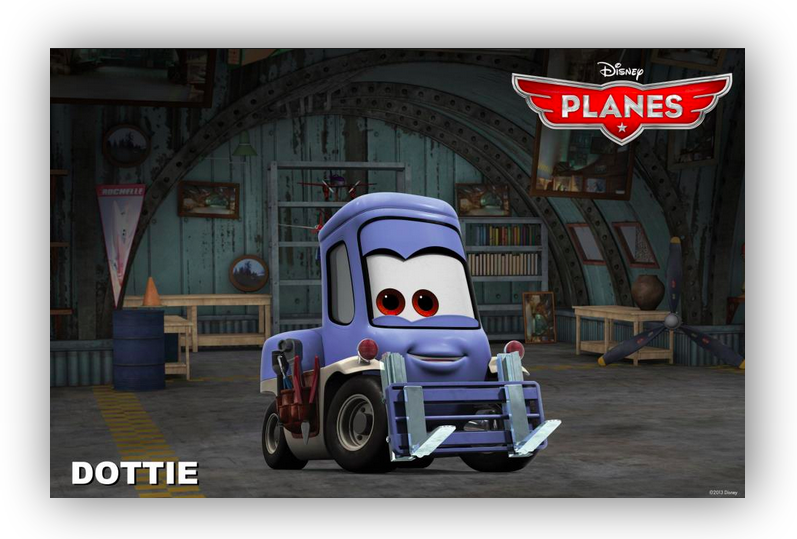 Remember… Disney’s PLANES hits theaters on August 9th!! Make sure to follow Disney’s PLANES on Facebook and Twitter @DisneyPictures! You can also follow hashtag #DisneyPlanesEvent to keep up with the latest excitement and buzz about Disney’s PLANES. And a huge thanks to the folks at Disney for this wonderful and unforgettable experience, something I will never forget! Can’t get enough Disney? You can read more about my most recent Disney experiences, including my interview with PLANES Director Klay Hall & Producer Traci Balthazor-Flynn, my fun (and challenging) experience in the voice recording studio recording the part of Dottie. You can see how sketches like mine get turned into the Disney movies in my post about my art lesson with Disney Story Artist Art Hernandez, or check out what I learned about the process of Disney Animation here. You can also read my Monsters University Tailgate and Premiere post here and you can also read my Monsters University movie review here.